We have 1 great application(s) in our Portfolio matching this category! Description: Customers/Vendors: Multiple contact points (ei, office, home, cell, email1, email2, etc). BillTo and ShipTo options, with complete mapping for multiple ship-to locations. Map plots Bill To and all Ship To locations, which are initially geocoded and then complete drag/drop updating, Lat/Lng and Location tracking. Products/Items: User customizable types and categories. Multiple vendor tracking. Complete assembly management, w/assembly of assembly support. UOM conversion. Task feature for make items. Quotes/Orders: Customer entry/edit from quote and order screen. 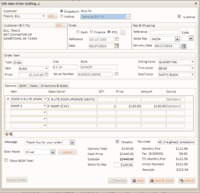 Multiple sales types (Cash, Finance, Rent-to-own), calculates all sales amounts. 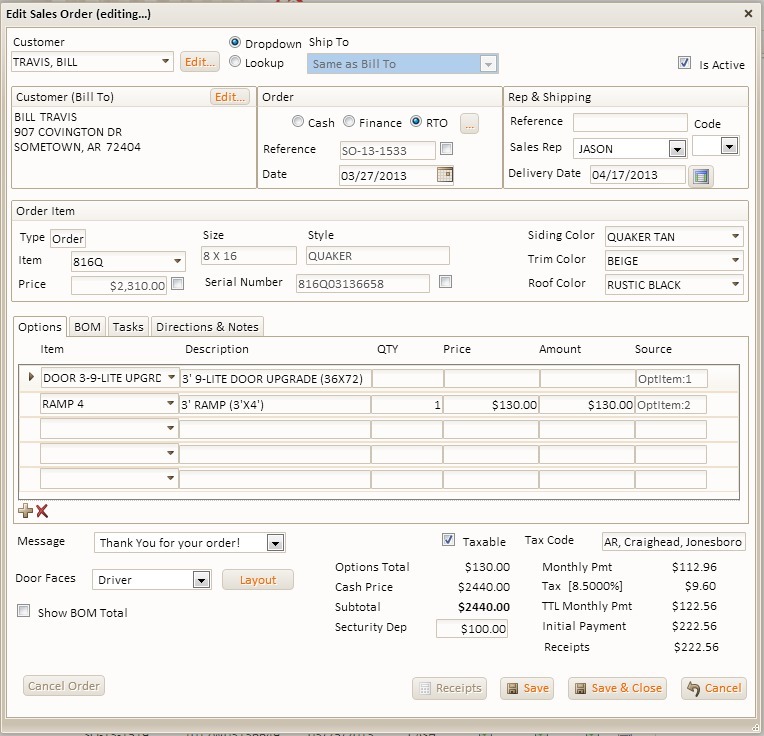 Options, Bill-of-Materials, and Tasks management with complete integration.